Hi everyone, I thought I'd just pop in quickly and share my latest card creation with you. 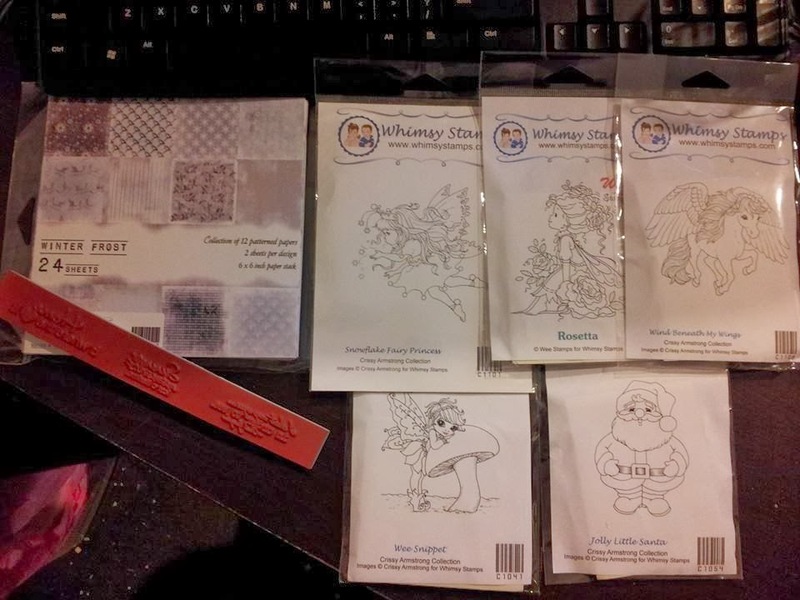 This is a fairy from Whimsy Stamps that I fell in love with and just had to have - along with several others of course! And that wonderful company included three free stamps (the red rubber ones) with cute sentiments that say: "I shut my eyes in order to see" and "Home is where the heart is" and finally "Summer memories last a lifetime". Don't you just love freebies? I sure do! Anyway, back to the point (I know, I do tend to wander around the point sometimes)... This is the first fairy I've played with from that order and I quite like how she's turned out. I decided to step outside of my comfort zone and choose a different colour - and the winner was Green! I don't use it much so that qualifies in my book. 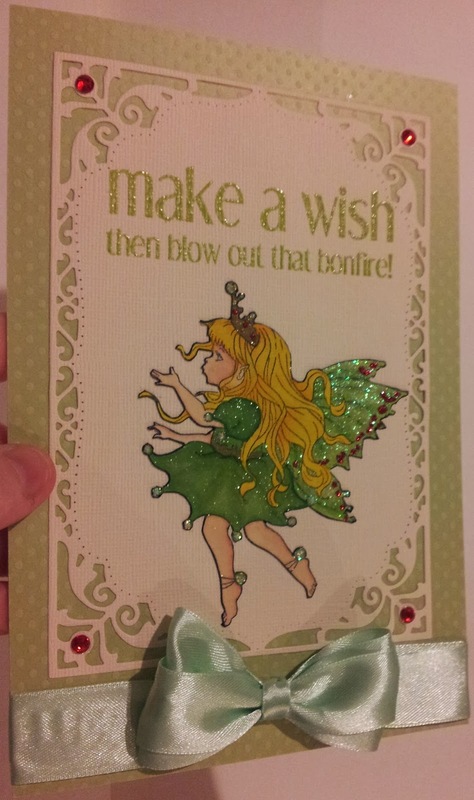 I used a white cardstock base, stuck a green spotty panel over the whole front and then the panel with the fairy, which is mounted on a spellbinders die cutout. A few gems and of course some clear wink of stella on the dress and stickles glitter glue on the wings and hey presto - a beautiful fairy. The sentiment stamps are from Simon Says Stamp and I thought they fit rather well as the fairy is blowing...(I had to cut the little stars out, and now she looks like she's blowing out the candles, I think). Well, I have been rather stuck, had computer problems this week also, but now it's working again and I hope it keeps working as I don't know why it stopped in the first place! Computer withdrawal is not so much fun! 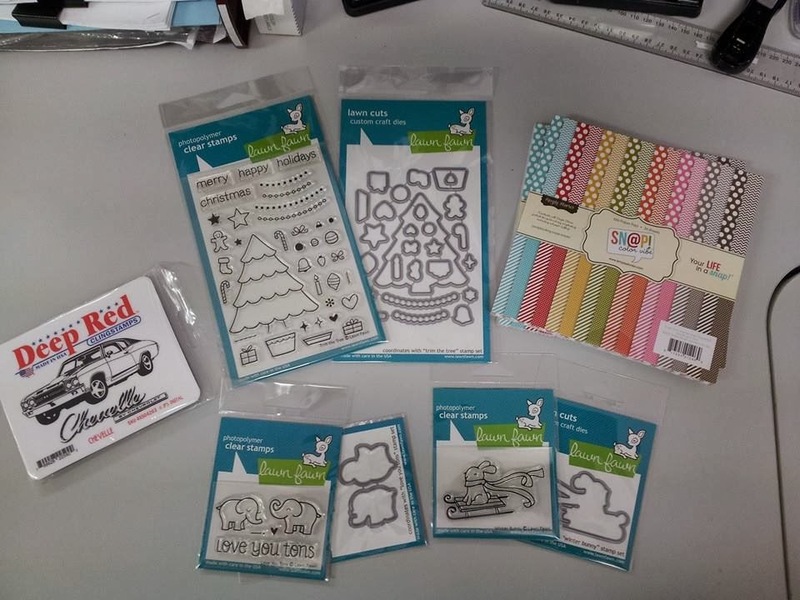 Have a happy, productive and crafty day! Loving your stash too. A little green with envy.